Death & Co. founder Dave Kaplan shares his four favorite fall cocktails. Dark and mysterious, behind a thick wooden door deep in NYC’s East Village, Death & Co. is one of the city’s finest speakeasy–style cocktail lounges. Getting in isn’t easy. The bar fills up fast and the waiting list can go on for pages. But starting tomorrow, cocktail enthusiasts everywhere will be able to drink Death & Co.’s legendarily good cocktails at home thanks to Death & Co.: Modern Classic Cocktails, the bar’s inaugural book filled with nearly 500 cocktail recipes written by founders David Kaplan and Alex Day, with former F&W-er Nick Fauchald. The book hits the shelves tomorrow, October 7, and in celebration, Kaplan, Day and Fauchald are taking their cocktails on tour across the country (get tickets here). Between the book and the tour, the three men are doing their best to bring the bar’s incredible drinks to everyone. But if you just can’t wait until tomorrow, you can get a taste right now. Here, Kaplan shares four of his favorite fall cocktails from Death & Co.
“I equate tiki drinks with fall because they use a lot of fall spices like cinnamon and allspice,” Kaplan says. Shake the ingredients with ice then strain into a coupe and serve. Shake all of the ingredients with ice then strain into a coupe. In a pitcher, muddle the sugar cubes with the club soda until the sugar is fully broken up. Add the remaining ingredients (except the Champagne and the garnish) and fill the pitcher three-quarters full with ice cubes. 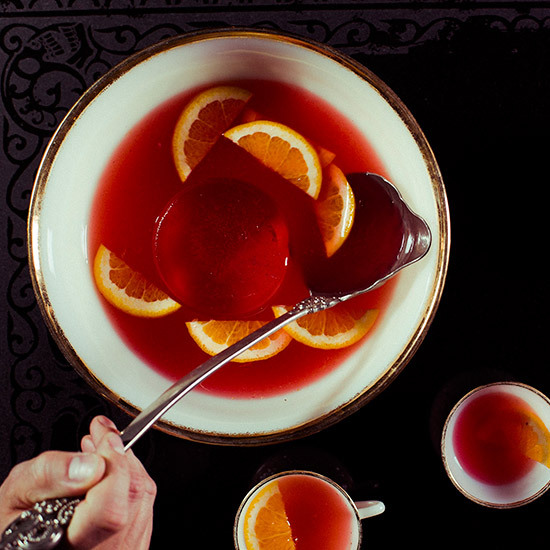 Stir until cold, then strain into a punch bowl over one large block of ice. Top with Champagne, garnish with the grapefruit wheels and ladle into glasses. Shake all of the ingredients with ice then strain into a double rocks glass over one large ice cube. Garnish with the apple fan.